Objective: To outline recent developments in the neurobiology of the tuberous sclerosis complex (TSC). Background: TSC may be associated with neuropsychiatric disorders including epilepsy, mental retardation, and autism. The uncontrolled growth of subependymal giant cell astrocytomas may lead to hydrocephalus and death. The recent identification of mutations in two genes (TSC1 and TSC2) that cause TSC has led to rapid progress in understanding the molecular and cellular pathogenesis of this disorder. How distinct mutations lead to the varied clinical phenotype of TSC is under intense investigation. Results: We report the recent diagnostic criteria for TSC and provide an overview of the molecular genetics, molecular pathophysiology, and neuropathology of TSC. 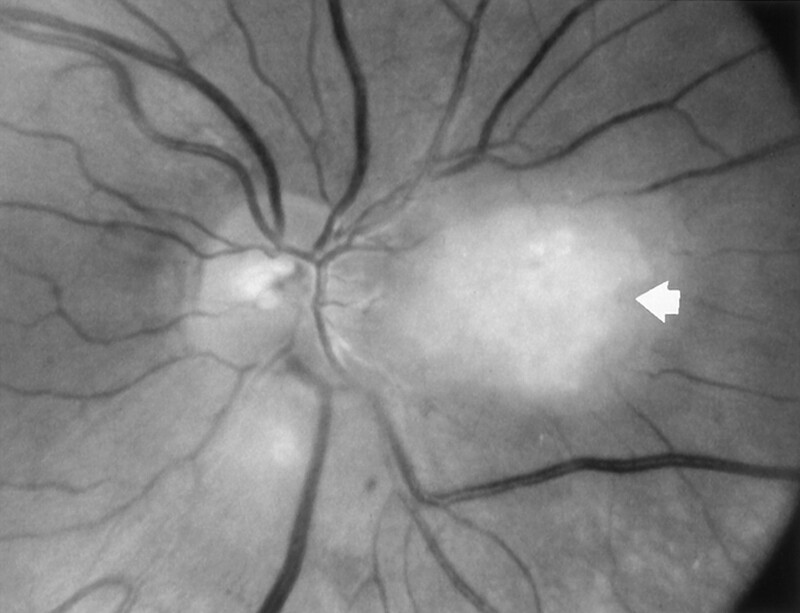 Important diagnostic criteria for TSC include facial angiofibromas, ungual fibromas, retinal hamartomas, and cortical tubers. Both familial and sporadic TSC cases occur. Approximately 50% of TSC families show genetic linkage to TSC1 and 50% to TSC2. Among sporadic TSC cases, mutations in TSC2 are more frequent and often accompanied by more severe neurologic deficits. Multiple mutational subtypes have been identified in the TSC1 and TSC2 genes. The TSC1 (chromosome 9) and TSC2 (chromosome 16) genes encode distinct proteins, hamartin and tuberin, respectively, which are widely expressed in the brain and may interact as part of a cascade pathway that modulates cellular differentiation, tumor suppression, and intracellular signaling. Tuberin has a GTPase activating protein–related domain that may contribute to a role in cell cycle passage and intracellular vesicular trafficking. Conclusion: Identification of tuberous sclerosis complex (TSC) gene mutations has fostered understanding of how brain lesions in TSC are formed. Further characterization of the roles of hamartin and tuberin will provide potential therapeutic avenues to treat seizures, mental retardation, and tumor growth in TSC. The tuberous sclerosis complex (TSC) is a multisystem, autosomal dominant syndrome that most commonly affects the brain, eye, skin, kidneys, and heart (for review, see references 1 to 3). It is estimated that TSC affects 1:10,000 births.2 The characteristic brain lesions with a potato- or root-like (hence tuber) consistency were first described by Bourneville in 1880.4 An earlier case of a neonate with multiple cardiac tumors may have been TSC and was reported by von Recklinghausen in 1865.5 TSC lesions are characterized as hamartomas, which are benign tumors composed of cellular elements normally present in a tissue. The clinical manifestations of TSC can be identified in organs derived from all primary germ cell lines, e.g., ectoderm, endoderm, and mesoderm. Malignant tumors are rare in TSC and occur primarily in the kidney. The CNS lesions of TSC include tubers in the cerebral cortex and subependymal nodules (SENs) and subependymal giant cell astrocytomas (SEGAs) in the ventricular system. Tubers are regions of cortical dysplasia that likely result from aberrant neuronal migration during corticogenesis. Tubers are static lesions that are directly related to the more prevalent neurologic manifestations of TSC, including epilepsy, mental retardation (MR), and autism. These symptoms are highly variable in age at onset and severity. In contrast, SENs are nodular lesions that extend into the ventricles and are typically asymptomatic. SENs that enlarge can cause hydrocephalus and are referred to as SEGAs. The recent identification of two TSC genes (TSC1 and TSC2) has resulted in rapid progress in our understanding of the molecular and developmental pathogenesis of this disorder. This review focuses on the neurobiologic aspects of TSC with specific attention to neuropathology and molecular genetics. The diagnosis of TSC should be considered in both adult and pediatric patients with a history of epilepsy, MR, or autism. Clinical evaluation of patients with suspected TSC should include physical examination as well as historical identification of family members with signs or symptoms suggesting TSC. The once “classic” diagnostic triad for TSC of MR, facial angiofibromas, and epilepsy is no longer valid as clinical studies have revealed that less than 50% of patients with TSC will concomitantly exhibit these three features. Two prior sets of TSC diagnostic criteria combined clinical and radiographic characteristics into primary, secondary, and tertiary,6 or definitive, presumptive, and suspect, features.1 Recently, the clinical diagnostic criteria for TSC were revised into major and minor features, which provides the most current approach to accurate diagnosis of TSC.7 Examples of major diagnostic features include facial angiofibromas (formerly referred to as adenoma sebaceum; figure 1 ), ungual fibromas, retinal hamartomas (figure 2 ), three or more hypomelanotic macules, a shagreen patch, renal angiomyolipoma, cardiac rhadomyoma, pulmonary lymphangiomatosis, SENs, SEGAs (figure 3 ), and tubers (figure 4 ). Minor features include dental enamel pits in deciduous or permanent teeth,8 bone cysts, renal cysts, gingival fibromas, and hamartomatous rectal polyps (see reference 7 for complete list of diagnostic features). By the revised criteria, the detection of either one major feature or one major plus two minor features constitutes a definitive diagnosis of TSC. One major plus one minor feature suggests probable TSC, whereas one major or two or more minor features indicates a possible diagnosis of TSC. Hypomelanotic macules (“ash-leaf” spots) appear in more than 50% of TSC patients by age 2 and are best detected with a Wood’s lamp (ultraviolet light). Infantile spasms are no longer considered to be a diagnostic feature of TSC although the clinical picture of infantile spasms, hypomelanotic macules, and developmental delay should raise suspicion of TSC. The identification of cardiac rhabdomyomas, which are largest during prenatal life and in infancy, is also diagnostically useful. Figure 3. (A) T1-weighted MRI of multiple subependymal nodules within the lateral ventricles (black and white arrows). Nodules are relatively isointense to surrounding brain tissue. 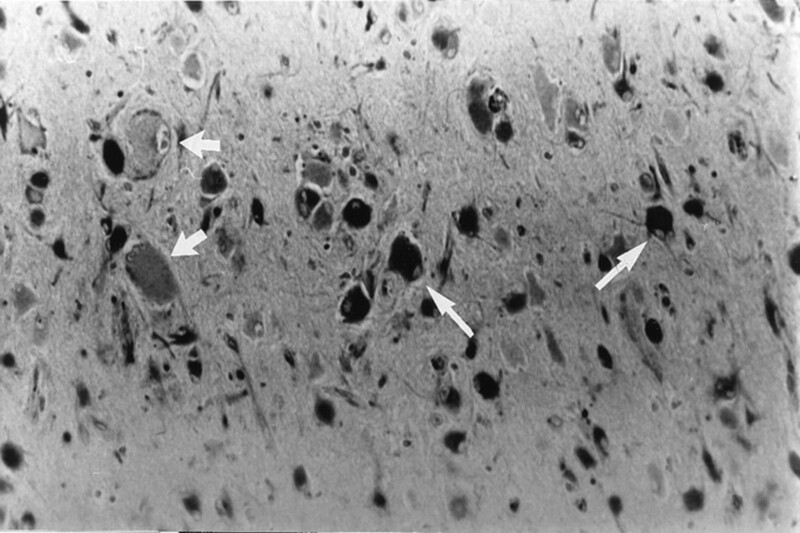 (B) Note that two nodules enhance (white arrows) after gadolinium administration, suggesting that these are subependymal giant cell astrocytomas. The TSC2 gene, on chromosome 16p13, was identified in 1993.9 TSC2 contains 41 exons and spans 43 kb of genomic DNA. The TSC2 gene has a 5.5 kb transcript that encodes a protein, tuberin, of 1807 amino acids (200 kDa).9 The TSC1 gene on chromosome 9q34 was identified in 1997.10 The TSC1 gene has an 8.6 kb transcript that encodes a hydrophilic protein, hamartin, of 1164 amino acids (130 kDa). Among sporadic TSC patients there may be a higher incidence of TSC2 mutations than TSC1 mutations.9,13 Although each sporadic case has the potential to initiate a familial pedigree, the frequency of TSC2 mutations is estimated at 80% or more of sporadic cases and 50% of familial cases. Whether the TSC2 gene is more susceptible to mutation than TSC1 remains to be determined. In one study in which TSC2 and TSC1 mutational analysis was performed on the same set of patients, TSC1 mutations were detected in 13 of 147 sporadic TSC cases (9%) and TSC2 mutations in 45/147 (30%).17 In this group of patients, MR was significantly more common in patients with TSC2 versus TSC1 mutations. In another recent analysis of 150 families with TSC, intellectual disability was significantly more frequent in TSC2 sporadic cases than in TSC1 sporadic cases.18 In this cohort, a predominant finding was TSC2 missense mutations localized within the GAP-related domain or in a small region encoded in exons 16 and 17, between nucleotides 1849 and 1859. In contrast, all TSC1 mutations were predicted to be truncating, consistent with a structural or adapter role for hamartin. The neuropathologic hallmarks of TSC, including tubers, SENs, and SEGAs, have been comprehensively reviewed.20-23 Tubers are closely related to the clinical symptoms of epilepsy, MR, and autism, whereas SENs are typically viewed as being unrelated to neurologic symptoms. SENs that continue to grow form SEGAs, which can cause obstructive hydrocephalus. Rare CNS manifestations of TSC include regions of focal cortical dysplasia, cerebellar foliar atrophy, Purkinje cell loss, and tuber-like hamartomas in the cerebellum. The spinal cord is surprisingly unaffected in TSC. Tubers are regions of disorganized cortical lamination found most commonly in fronto-parietal cortex, which are present in over 80% of TSC patients.20-23 Tubers may be detected radiographically in the neonatal and even fetal periods.21 On gross pathologic examination, tubers are firm, well-circumscribed, often calcific nodules that span flattened gyri and sulci. On microscopic examination, the normal hexalaminar structure of cortex is lost within the tuber and the junction between grey and white matter is often blurred, suggesting a developmental disturbance of lamination. Interestingly, the cytoarchitecture of cerebral cortex surrounding tubers is typically normal, suggesting that tubers result from a developmental defect that affects a restricted population of neuronal precursor cells during corticogenesis. Tubers contain a heterogeneous population of cellular elements including abnormal and normal appearing neurons, astrocytes, and giant cells, the hallmark histologic cell type that is unique to TSC (figure 5 ). Dysmorphic neurons in tubers exhibit disrupted radial orientation in cortex and abnormal dendritic arbors. Heterotopic neurons in the deep white matter are often identified. Giant cells are large (80 to 150 microns in diameter) polygonal or ovoid eosinophilic cells that extend short, thickened processes of unclear identity (i.e., axons or dendrites).24 Giant cells are distributed from the pial surface to the subcortical white matter without clear radial orientation and they may appear in clusters. They are not seen in regions of normal cortex surrounding the tuber. Restricted foci of gliosis and cortical dysplasia may also be identified in patients with other manifestations of TSC, which are histologically distinct from tubers. Figure 5. Section of a cortical tuber resected during epilepsy surgery. Tissue is immunolabeled with MAP2 antibodies and reveals a heterogeneous population of cell types, including giant cells (short arrows) and dysmorphic neurons (long arrows). 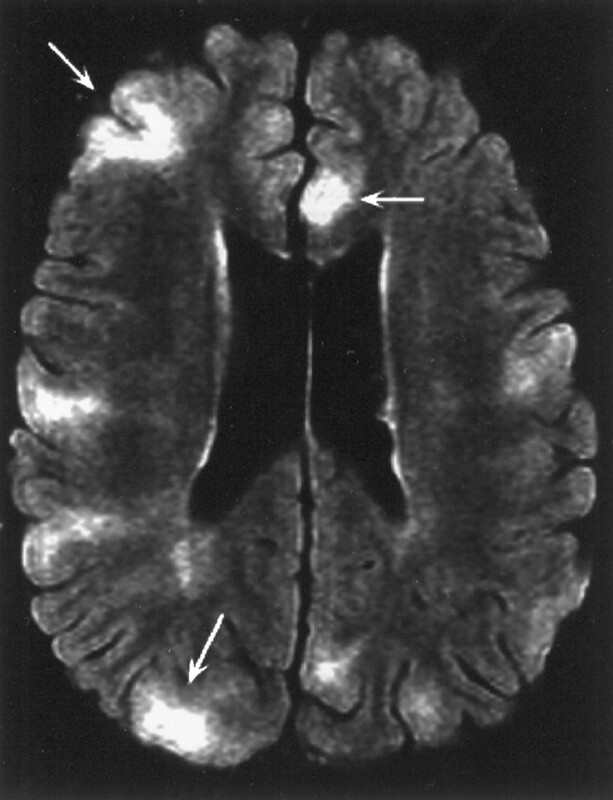 Subependymal nodules are well-circumscribed lesions found along the surface of the lateral ventricles and rarely within the aqueduct and fourth ventricle.20-23 They occur in approximately 80% of TSC patients and may be present in the neonatal period.25,26 SENs may extend into the surrounding white matter and abut the basal ganglia. SENs (and tubers) do not undergo frank neoplastic transformation. However, some SENs may grow and are then classified as SEGAs that are World Health Organization Grade I. SEGAs may exhibit gadolinium enhancement on MRI. SEGAs typically occur in the first two decades of life but may appear in infancy. Many of the histologic features of tubers are observed in SENs and SEGAs. For example, giant cells are identified microscopically in SENs and SEGAs that are similar to those identified in tubers, although a heterogeneous population of polygonal, epithelioid, and spindle cell populations may also be seen. Unlike tubers, the cellular packing density in SENs/SEGAs is greater and these lesions have the appearance of a tumor. In SEGAs, multinucleated cells may be seen and rarely, mitotic figures and cellular pleomorphism may be identified. Vascular endothelial proliferation and necrosis may be observed although the low mitotic index using the Ki-67 (MIB-1) marker reinforces the benign nature of SEGAs.27 Despite the histologic similarities between SENs and SEGAs, the changes in gene expression that result in the genesis of SEGAs remain to be defined. Identification of the TSC1 and TSC2 genes has provided an avenue to reconstruct the molecular events that lead to tuber, SEN, and SEGA formation. Recent evidence that hamartin and tuberin directly interact indicates that they are components of a single cellular pathway, thus potentially explaining the nearly identical clinical disease caused by TSC1 and TSC2 mutations.30 Tuberin and hamartin are widely expressed in normal tissues including brain, liver, adrenal cortex, cardiac muscle, and kidney.31-33 Hamartin has no homology to known vertebrate genes and its function is undetermined. Tuberin mRNA and protein have been detected throughout the developing and adult brain, e.g., cortical and hippocampal pyramidal neurons, cerebellar Purkinje cells, brainstem motor nuclei, choroid plexum epithelium, and spinal cord.31-33 In the mouse, tuberin expression is greatest during embryogenesis and in non-neuronal tissues, e.g., lymphocytes and epithelia, which undergo high mitotic turnover suggesting a role in cell division. In TSC patients, alterations in tuberin mRNA or protein expression has been reported in tubers and SEGAs.34,35 Hamartin likely interacts directly with tuberin and may be localized to cytoplasmic vesicles.36 Altered vesicular trafficking may lead to tumorigenesis in TSC and thus, TSC1 and TSC2 may have a novel mechanisms of tumor suppression. Tuberin contains a hydrophobic N-terminal domain and a conserved 163 amino acid carboxy terminal region that exhibits sequence homology to the catalytic domain of a GAP for Rap1. As a member of the superfamily of Rap-related protein, Rap1 likely functions in regulation of DNA synthesis and cell cycle transition. Tuberin displays GAP activity for Rap1, but not Rap2, Ha-Ras, Rac, or Rho37,38 and colocalizes with Rap1 in the Golgi apparatus in several cell lines.37,38 The GAP activity of functional tuberin may modulate the effects of Rap1 on G- to S-phase transition during cell division. Thus, mutations in TSC2 might result in constitutive activation of Rap1. If tuberin functions as a tumor or growth suppressor (see following), activation of Rap1 pathways may lead to enhanced cell proliferation or incomplete cellular differentiation. For example, antisense inhibition of tuberin expression in cultured fibroblasts induced quiescent G0 arrested cells to re-enter the cell cycle and shortened the time in G1 of actively dividing cells.39 In neuroblastoma cell lines, antisense inhibition of tuberin expression inhibited neuronal differentiation.40 Using the yeast two hybrid system, tuberin interaction with rabaptin-5, an effecter of Rab5, was also found.41 Tuberin exhibits GAP activity for Rab5, which is believed to be a critical component of the docking and fusion component of the endocytic pathway. These findings suggest that tuberin is Golgi-localized in order to perform a functional role as a negative regulator of endocytosis via Rab5. Consistent with this model, the rate of fluid-phase endocytosis is increased in Eker rat cells lacking tuberin.41 Finally, recent evidence suggests that tuberin can bind and selectively modulate transcription mediated by members of the steroid receptor superfamily of genes.42 If so, then tuberin may function as a nuclear coreceptor that is perhaps important in cellular differentiation. Several lines of evidence indicate that both TSC genes are tumor suppressor genes. For example, germline TSC1 and TSC2 mutations appear to be inactivating9-12 and restoration of normal tuberin function in cells cultured from the Eker rat results in a suppression of tumorigenicity.43 Loss of allelic heterozygosity (LOH) occurs in angiomyolipomas, rhabdomyomas, and SEGAs, and supports a “two hit” model for these lesions in TSC.44,45 In a given tumor, LOH occurs at either TSC1 or TSC2, but not at both loci.43 In SEGAs, TSC1 or TSC2 LOH has been detected in both the epithelioid and the spindle cell populations, indicating that these two cells arose from a single precursor cell.44 Reduced or absent tuberin has been demonstrated by immunohistochemistry and Western analysis in SEGAs consistent with the two-hit model.45-47 However, whether the two-hit tumor suppressor model applies to the pathogenesis of tubers is unclear, as LOH occurs rarely, if ever, in tubers.48 Similarly, LOH at either TSC1 or TSC2 loci was not found in glioneuronal malformations with cellular morphology that was similar to tubers.49 One explanation is that normal neurons migrate into tubers by nonradial migration routes50,51 and contaminate the LOH analysis. If only certain cell types in tubers are affected by the second hit mutation, microdissection may be required to detect the LOH. Another possibility is that tubers are formed by an alternative mechanism such as haploinsufficiency. If haploinsufficiency is an important mechanism in TSC, the focal nature of tubers suggests that additional somatic events are involved. Developmental pathogenesis of tubers, SENs, and SEGAs. A fundamental question regarding the pathogenesis of CNS lesions in TSC is which cell precursors, i.e., glial or neuronal, give rise to giant cells in tubers, SENs, and SEGAs during early brain development. To answer this, numerous studies have examined the embryonic origin and histologic phenotype of giant cells (see references 22 and 24). Early evidence argued independently for neuronal or glial lineage of giant cells based on identification of neuronal or glial structural features using electron microscopy.57-60 For example, the identification of rough endoplasmic reticulum, intermediate filaments extending into processes of ambiguous morphology, prominent paranuclear Golgi zones, and dense-core granules (suggestive of secretory vesicles) in giant cells suggested neuronal features. Subsequent immunohistochemical and molecular analyses have identified neuronal proteins and mRNAs such as neuron specific enolase, tubulin, microtubule associated proteins (MAPs), and intermediate filaments in giant cells within SEGAs, SENs, and tubers.17-22 In addition, a small proportion of giant cells in SEGAs express met-enkephalin, β-endorphin, serotonin, and neuropeptide Y,18 suggesting a neural lineage. In contrast, a population of giant cells within tubers and SENs express glial proteins such as glial fibrillary acidic protein, vimentin, and S-100 protein.18,19 The predominant cellular phenotype of the subependymal nodules in the Eker rat model of TSC is astroglial.29 The conflicting patterns in which adjacent giant cells express either neuronal or glial markers suggests that giant cells are of mixed glioneuronal lineage. Most likely, giant cells derive from a mixed glioneuronal precursor cell, which gives rise to a clonal cellular progeny with divergent differentiation. Alternatively, a heterogeneous population of divergent cell precursors (glial and neuronal) may be affected by a TSC mutation and yield multiple distinct cell types. Another important question is whether dysmorphic neurons in tubers directly result from a mutation in the TSC genes or are “innocent bystanders” whose cytoarchitecture has been altered by the presence of neighboring and highly aberrant giant cells. Dysmorphic neurons express a variety of neuronal markers, e.g., cytoskeletal elements and neurotransmitter receptor subunits, which suggest they are indeed of neuronal phenotype. In addition, they express proteins such as nestin25 and MAP2C,57 which indicates that they may have failed to terminally differentiate before migration. If giant cells in tubers express neuronal markers, then it is logical to hypothesize that these cells are somehow related to the epileptogenicity of tubers in cortex. One compelling question is whether giant cells are capable of synaptic transmission and if so, whether giant cells potentiate excitatory or inhibitory activity. Many giant cells in SENs express neuropeptides18,19 although such staining in tubers is marginal. Evidence for true synaptic connectivity is lacking as absent or diminished synaptophysin immunoreactivity has been reported in tubers and SEGAs.61 Thus, mutations in either TSC gene may result in deficient synaptogenesis. Electron microscopic analyses have identified desmosomal or gap junction-like connections between giant cells and surrounding neurons58 and giant cells express the gap junction mRNA connexin 26.25 Electronic cellular interactions via gap junctions may contribute to the epileptogenicity of tubers as has been suggested for temporal neocortex of epilepsy patients.62 Giant cells in tubers express the N-methyl-d-aspartate receptor subunit 163 as well as mRNAs encoding glutamic acid decarboxylase, GABA A receptor subunits, and calcium and potassium channels.25 Clarification of the functional expression of these proteins will be important in determining the neurochemical features of tubers and SENs. The authors thank the National Tuberous Sclerosis Association for funding and support and the family of Clinton Estling. Gomez MR. Tuberous sclerosis. New York:Raven Press, 1988. O’Callaghan FJ, Shiell AW, Osborne JP, Martyn CN. Prevalence of tuberous sclerosis estimated by capture-recapture analysis. Lancet 1998;351:1490. Short MP, Richardson EP, Haines J, Kwiatkowski DJ. Clinical, neuropathological, and genetic aspects of the tuberous sclerosis complex. Brain Pathol 1995;5:173–179. Bourneville DM. Contributions a l’etude de l’idiotie. III. Sclerose tuberoeuse des circonvolutions cerebrales. Arch Int Neurol 1880;1:81–91. von Recklinghausen FD. Ein Herz von einen Neurogeborenen. Verb Berl Ges Geburt 1863;15:73. Roach ES, Smith M, Huttenlocher P, Bhat M, Alcorn D, Hawley L. Diagnostic criteria: tuberous sclerosis complex. J Child Neurol 1992;2:221–224. Roach ES, Gomez MR, Northrup H. Tuberous sclerosis complex consensus conference: revised clinical diagnostic criteria. J Child Neurol 1998;13:624–628. 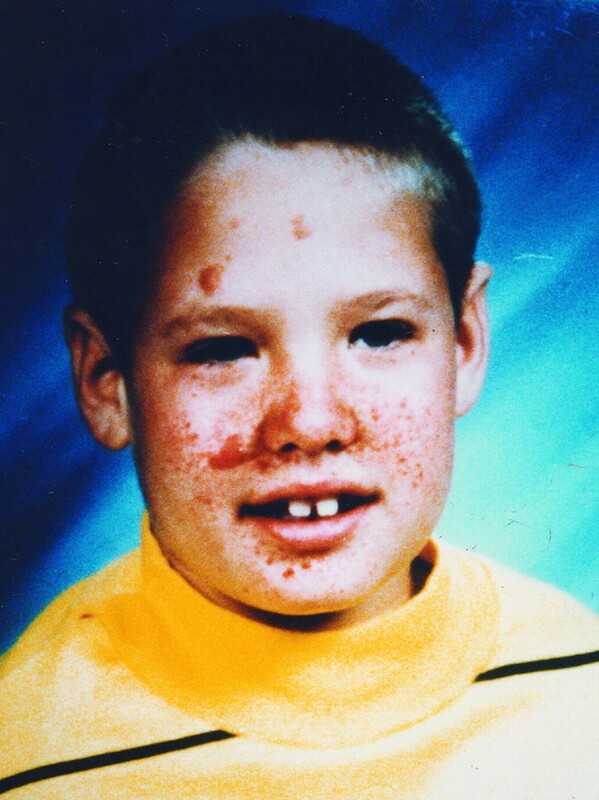 Mlynarczyk G. Enamel pitting: a common symptom of tuberous sclerosis. Oral Surg Oral Med 1991;71:63–67. Consortium ECTS. Identification and characterization of the tuberous sclerosis gene on chromosome 16. Cell 1993;75:1305–1315. Van Slegtenhorst M, de Hoogt R, Hermans C, et al. Identification of the tuberous sclerosis gene TSC1 on chromosome 9q34. Science 1997;277:805–808. Povey S, Burley M, Attwood J, et al. Two loci for tuberous sclerosis: one on 9q34 and one on 16p13. Ann Hum Genet 1994;58:107—127. Wilson P, Ramesh V, Kristiansen A, et al. Novel mutations detected in the TSC2 gene from both sporadic and familial TSC patients. Hum Mol Genet 1996;5:249–256. Au K-S, Rodriguez J, Finch J, et al. Germ-line mutational analysis of the TSC2 gene in 90 tuberous sclerosis patients. Am J Hum Genet 1997;62:286–294. Van Bakel I, Sepp T, Ward S, Yates J, Green A. Mutations in the TSC2 gene: analysis of the complete coding sequence using the protein truncation test (PTT). Hum Mol Genet 1997;6:1409–1414. Maheshwar M, Cheadle J, Jones A, et al. The GAP-related domain of tuberin, the product of the TSC2 gene, is a target for missense mutations in tuberous sclerosis. Hum Mol Genet 1997;6:1991–1996. van Slegtenhorst M, Verhoef S, Tempelaars A, et al. A mutational spectrum of the TSC1 gene in a cohort of 225 tuberous sclerosis complex patients: no evidence for genotype-phenotype correlation. J Med Genet 1999;36:285–289. Jones A, Daniells C, Snell R, et al. Genetic and phenotypic analysis reveals differences between TSC1 and TSC2 associated familial and sporadic tuberous sclerosis. Hum Mol Genet 1997;6:2155–2161. Jones AC, Shyamsundar MM, Thomas MW, et al. Comprehensive mutation analysis of TSC1 and TSC2-and phenotypic correlations in 150 families with tuberous sclerosis. Am J Hum Genet 1999;64:1305–1315. Verhoef S, Bakker L, Tempelaars A, et al. High rate of mosaicism in tuberous sclerosis complex. Am J Hum Genet 1999;64:1632–1637. Richardson EP. Pathology of tuberous sclerosis. Ann NY Acad Sci 1991;615:128–139. Hirose Y, Scheithauer BW, Lopes MBS, et al. Tuber and subependymal giant cell astrocytoma associated with tuberous sclerosis: an immunohistochemical, ultrastructural, and immunoelectron microscopic study. Acta Neuropathol 1995;90:387–399. Lopes MBS, Altermatt HJ, Scheithauer BW, Shepard CW, VandenBerg SR. Immunohistochemical characterization of subependymal giant cell astrocytomas. Acta Neuropathol 1996;91:368–375. Wiestler O, Lopez B, Crino PB. Tuberous sclerosis complex and subependymal astrocytoma. In: Kleihues P, Cavenee WK, eds. Pathology and genetics: tumors of the nervous system. Lyon:International Agency for Research on Cancer, 1997:182–185. Crino PB, Dichter MA, Trojanowski JQ, Eberwine JH. Embryonic neuronal markers in tuberous sclerosis: single cell molecular pathology. Proc Natl Acad Sci USA 1996;93:14152–14157. Sonigo P, Elmaleh A, Fermott L, Delezoide AL, Mirlesse V, Brunelole F. Prenatal MRI diagnosis of fetal cerebral tuberous sclerosis. Pediatr Radiol 1996;26:1–4. Tien RD, Hesselink JR, Duberg A. Rare subependymal giant cell astrocytoma in a neonate with tuberous sclerosis. AJNR Am J Neuroradiol 1990;11:1251–1252. Gyure KA, Prayson RA. Subependymal giant cell astrocytoma: a clinicopathologic study with HMB45 and MIB-1 immunohistochemical analysis. Mod Pathol 1997;10:313–317. Yeung RS, Xiao GH, Jin F, Lee WC, Testa JR, Knudson AG. Predisposition to renal carcinoma in the Eker rat is determined by germ-line mutation of the tuberous sclerosis 2 (TSC2) gene. Proc Natl Acad Sci USA 1994;91:11413–11416. Yeung RS, Katsetos CD, Klein-Szanto A. Subependymal astrocytic hamartomas in the Eker rat model of tuberous sclerosis. Am J Pathol 1997;151:1477–1486. van Slegtenhorst M, Nellist M, Nagelkerken B, et al. Interaction between hamartin and tuberin, the TSC1 and TSC2 gene products. Hum Mol Genet 1998;7:1053–1057. Geist R, Gutmann D. The tuberous sclerosis 2 gene is expressed at high levels in the cerebellum and developing spinal cord. Cell Growth Differentiation 1995;6:1477–1483. Geist RT, Reddy AJ, Zhang J, Gutmann DH. Expression of the tuberous sclerosis 2 gene product, tuberin, in adult and developing nervous system tissues. Neurobiol Dis 1996;3:111–120. Wienecke R, Maize J, Reed J, deGunzburg J, Yeung R, DeClue J. Expression of the TSC2 product tuberin and its target Rap1 in normal human tissues. Am J Pathol 1997;150:43–50. Kerfoot C, Wienecke R, Menchine M, et al. 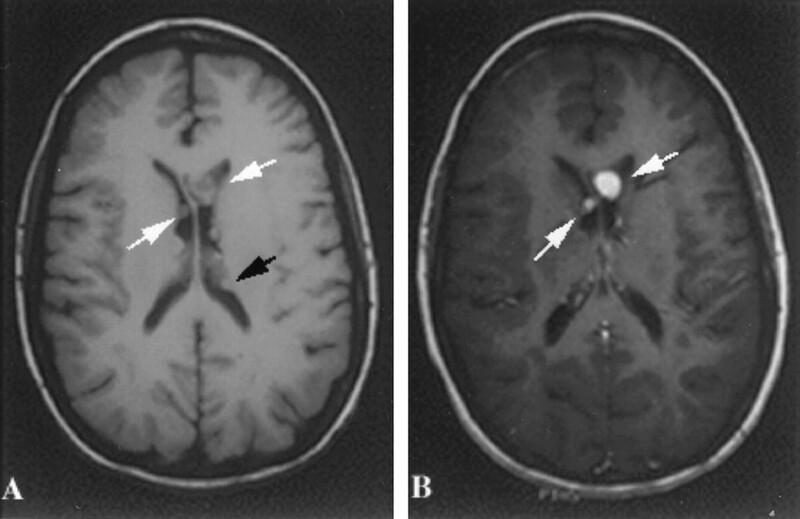 Localization of tuberous sclerosis 2 mRNA and its protein product tuberin in normal human brain and in cerebral lesion of patients with tuberous sclerosis. Brain Pathol 1996;6:367–377. Mizuguchi M, Kato M, Yamanouchi H, Ikeda K, Takashima S. Loss of tuberin from cerebral tissues with tuberous sclerosis and astrocytoma. Ann Neurol 1996;40:941–944. Plank TL, Yeung RS, Henske EP. Hamartin, the product of the tuberous sclerosis 1 (TSC1) gene, interacts with tuberin and appears to be localized to cytoplasmic vesicles. Cancer Res 1998;58:4766–4770. Wienecke R, Konig A, DeClue J. Identification of tuberin, the tuberous sclerosis-2 product. J Biol Chem 1995;270:16409–16414. Wienecke R, Maize J, Shoarinejad F, et al. Co-localization of the TSC2 product tuberin with its target Rap1 in the Golgi apparatus. Oncogene 1996;13:913–923. Soucek T, Pusch O, Wienecke R, DeClue J, Hengstschlager M. Role of the tuberous sclerosis gene-2 product in cell cycle control. J Biol Chem 1997;272:29301–29308. Soucek T, Holzl G, Bernaschek G, Hengstschlager M. A role of the tuberous sclerosis gene-2 product during neuronal differentiation. Oncogene 1998;16:2197–2204. Xiao G, Shoarinejad F, Jin F, Golemis E, Yeung R. The tuberous sclerosis-2 gene product, tuberin, functions as a Rab5 GAP in modulating endocytosis. J Biol Chem 1997;272:6097–6100. Henry KW, Yuan X, Koszewski NJ, Onda H, Kwiatkowski DJ, Noonan DJ. Tuberous sclerosis gene 2 product modulates transcription mediated by steroid hormone receptor family members. J Biol Chem 1998;273:20535–20539. Jin F, Wienecke R, Xiao G-H, Maize J, DeClue J, Yeung R. Suppression of tumorigenicity by the wild type tuberous sclerosis 2 (Tsc2) gene and its C-terminal region. Proc Natl Acad Sci USA 1996;93:9154–9159. Henske E, Neumann H, Scheithauer B, Herbst E, Short M, Kwiatkowski D. Loss of heterozygosity in the tuberous sclerosis (TSC2) region of chromosome band 16p13 occurs in sporadic as well as TSC-associated renal angiomyolipomas. Genes Chrom Cancer 1995;13:295–298. Carbonara C, Longa L, Grosso E, et al. 9q34 loss of heterozygosity in a tuberous sclerosis astrocytoma suggests a growth suppressor-like activity also for the TSC1 gene. Hum Mol Genet 1994;3:1829–1832. Green A, Smith M, Yates J. Loss of heterozygosity on chromosome 16p13.3 in hamartomas from tuberous sclerosis patients. Nat Genet 1994;6:193–196. Henske E, Scheithauer B, Short M, et al. Allelic loss is frequent in tuberous sclerosis kidney lesions but rare in brain lesions. Am J Hum Genet 1996;59:400–406. Henske E, Wessner L, Golden J, et al. Loss of tuberin in both subependymal giant cell astrocytomas and angiomyolipomas supports a two-hit model for the pathogenesis of tuberous sclerosis tumors. Am J Pathol 1997;151:1639–1647. Normann S, Green AJ, von Bakel I, et al. Tuberous sclerosis-like lesions in epileptogenic human neocortex lack allelic loss at the TSC1 and TSC2 regions. Acta Neuropathol (Berl) 1997;93:93–96. Reid CB, Liang I, Walsh C. Systematic widespread clonal organization in cerebral cortex. Neuron 1995;15:299–310. Walsh C, Cepko CL. Clonal dispersion in proliferative layers of developing cerebral cortex. Nature 1993;15:299–310. Padmalatha C, Harruff R, Ganick D, Hafez G. Glioblastoma multiforme with tuberous sclerosis. Report of a case. Arch Pathol Lab Med 1980;104:649–650. Gutmann D, Saporito-Irwin S, DeClue J, Wienecke R, Guha A. Alterations in the Rap1 signaling pathway are common in human gliomas. Oncogene 1997;15:1611–1616. Wienecke R, Guha A, Maize J, Heideman R, DeClue J, Gutmann D. Reduced TSC2 RNA and protein in sporadic astrocytomas and ependymomas. Ann Neurol 1997;42:230–235. Park SH, Pepkowitz SH, Kerfoot C, et al. Tuberous sclerosis in a 20-week gestation fetus: immunohistochemical study. Acta Neuropathol (Berl) 1997;94:180–186. Van Raay TJ, Foskett SM, Connors TD, Klinger KW, Landes GM, Burn TC. The NTN2L gene encoding a novel human netrin maps to the autosomal dominant polycystic kidney disease region on chromosome 16p13.3. Genomics 1997;41:279–282. Yamanouchi H, Jay V, Rutka JT, Takashima S, Becker LE. Evidence of abnormal differentiation in giant cells of tuberous sclerosis. Pediatr Neurol 1997;17:49–53. Trombley IK, Mirra SS. Ultrastructure of tuberous sclerosis: cortical tuber and subependymal tumor. Ann Neurol 1981;9:174–181. Huttenlocher PR, Wollman RL. Cellular neuropathology of tuberous sclerosis. Ann NY Acad Sci 1991;615:140–148. Huttenlocher PR, Heydemann PT. Fine structure of cortical tubers in tuberous sclerosis. Ann Neurol 1984;16:595–602. Lippa CF, Pearson D, Smith TW. Cortical tubers demonstrate reduced immunoreactivity for synapsin I. Acta Neuropathol 1993;85:449–451. Naus CC, Bechberger JF, Paul DL. Gap junction gene expression in human seizure disorder. Exp Neurol 1991;111:198–203. Wolf HK, Birkholz T, Wellmer J, Blumcke I, Pietsch T, Wiestler OD. Neurochemical profile of glioneuronal lesions from patients with pharmacoresistant focal epilepsies. J Neuropathol Exp Neurol 1995;54:689–697.